REQUESTS ARE CURRENTLY OPEN! PLEASE SUBMIT YOUR ART REQUESTS! Here's a visual aid that will help you estimate commission pricing based on image size, completion level, colors, etc. This will give you a good idea of what costs will be but costs could fluctuate up or down depending on the job. I'm always flexible with pricing as some projects might take more time and some might take less. I'm looking forward to collaborating with you to bring your thoughts to life! Your email will be used solely for the purpose of discussing the art request. Pick your art size: sketch card, face only, Bust (upper body/torso), full body, two characters or more. Describe what you would like and be as specific as you can (how many characters/subjects, size, color/not color, style, full body/action/group/head pose) Size of art, color, more characters can drastically change the amount of time it will take to complete an art commission piece as well fluctuate its price. Please take this into consideration when submitting for art. Thanks for your interest! --Please note that there might be a day or two delay before you are contacted with a follow-up email containing questions, pricing estimates and/or project confirmation. I appreciate your patience! Art takes time and I respect the time of my clients (that's you!). --At times, freelance work and commissions might not be available (this will be noted on the site). I apologize for any inconvenience and when commissions become available again, I will address requests in the order received. 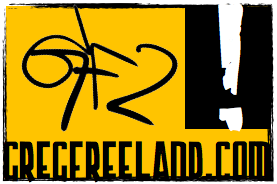 Original artwork and content © 2013 Greg Freeland II, all other homage art & fan art © to their respective owners.